Below are some of the most commonly asked questions about FSAs. Click a topic and drill down to find the answer. You can also find additional information in the Education Video Library. Do I have to keep the same election each year? 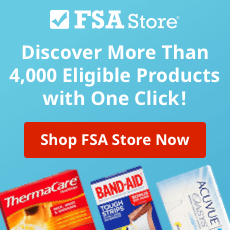 How do I contribute money to my health or dependent care FSA? No, insurance premiums are not reimbursable from a Health FSA. Are over-the-counter (OTCs) drugs reimbursable? Effective January 1, 2011, Medical FSA, HSA and HRA funds may no longer be used for over-the-counter drugs and medicines (other than insulin) without a prescription from a medical provider. If I terminate employment or retire, can I receive the remaining balance in my Health FSA? Does my daycare provider have to be licensed? Does my daycare provider have to be 18? No, but the individual must claim the money as income on their tax return. My child attends camp during the summer. Is this eligible? Expenses are eligible for reimbursement when they have been incurred, not when you are billed or when you pay for the services. For example: Your daycare provider requires you to pay for the month of September on September 1st. You can be reimbursed as the services are incurred, not when you paid for the services. You can submit claims after each week, every two weeks or on October 1st. What if I discover that I elected too much for the Health and/or Dependent Care FSA, can I change my election? What is an IRS “Change in Status” that will allow me to change my FSA election? If I elected too much in my Health FSA but not enough in my Dependent Care FSA, can I move money from one account to the other? No, Health and Dependent Care FSA elections are separate. You cannot move contributions from one account to another. Also, it is very important to note that the elections you make are for the entire year. Your elections cannot be changed unless you experience an IRS Change in Status or Qualifying Life Event as noted above. What happens if I don’t use all the money elected in my FSA? Previously, the IRS had imposed a "use it or lose it,” rule. Any money remaining in your FSA account at the end of the plan year was forfeited. On October 31, 2013, the US Treasury Department modified its FSA “use-it-or-lose-it” provision to allow rollover of up to $500 of FSA funds remaining at the end of the plan year. Effective immediately, employers that offer FSA programs without a grace period have the option to allow employees to roll over up to $500 of unused funds at the end of the current 2013 plan year. Going forward, employers that offer FSA programs have the option of allowing participants to rollover up to $500 of unused funds at the end of the plan year or may offer a grace period, but not both. Check with you plan administrator or employer to determine whether your FSA program supports rollover of unused funds. How do I submit a claim for the Health or Dependent Care FSA? You must complete an FSA Request for Reimbursement Form for each Health or Dependent Care FSA claim you file. You may also submit your claim data online. When submitting your claim online, you’ll have the opportunity to either upload scanned receipts or print a fax cover page to fax in with your documentation. May I submit expenses for my spouse and children for reimbursement through my Health FSA? What supporting documentation must I submit with each Health FSA claim? What supporting documentation must I file with each Dependent Care claim? What happens if a claim exceeds the amount currently available in my Dependent Care FSA? The claim will be processed and approved. The amount that is currently available will be disbursed and the remaining portion will be pending reimbursement until you make another contribution. You will not need to resubmit the claim if your amount exceeds your current balance. We will pay up to the submitted amount automatically. You will only be reimbursed $1,500.00, as this is the amount that you have contributed to the account. The entire request of $2,250.00 will be processed and the remaining $750.00 will be disbursed as contributions are made.